The first-of-its-kind mission will last two years. NASA HAS LAUNCHED a spaceship designed to scan the skies for signs of planets where life may exist outside of our solar system. The $272 million planet-hunting spaceship launched from Cape Canaveral, Florida at 6.51 pm local time, or 10.51pm Irish time, last night. The two-year, first-of-its-kind mission is expected to find thousands of new exoplanets, which are planets outside our solar system that orbit a star. The James Webb Space Telescope will, at $ €8 billion, be the most expensive and powerful telescope ever built, and Irish scientists are key to its success. The spacecraft will be able to begin its work after approximately 60 days, and will use four cameras to watch for phenomena called transits, which are created when a planet passes in front of its star from the observer’s perspective, causing a dip in the star’s brightness. More than 78% of the around 3,700 exoplanets that we have discovered have been found by using this method, according to NASA. 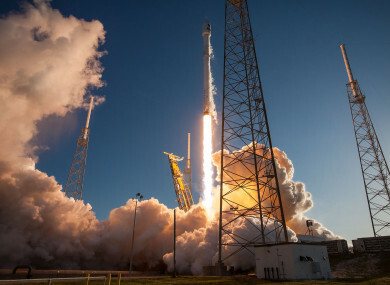 The Transiting Exoplanet Survey Satellite (TESS) sat on top of a SpaceX Falcon 9 rocket, marking the first time the private company has been given a high-priority mission for the national space agency. “Each time the spacecraft passes close to Earth, it will transmit full-frame images taken with the cameras. That’s one of the unique things TESS brings that was not possible before,” said George Ricker, TESS principal investigator at the Massachusetts Institute of Technology’s (MIT) Kavli Institute for Astrophysics and Space Research. The satellite is expected to catalog thousands of exoplanet candidates around a wide range of star types, Space X said in a statement. These include hundreds of planets that are less than twice the size of Earth. The TESS mission is expected to find planets ranging from small, rocky worlds to gas giants. Email “NASA launches spacecraft designed to find planets that might support life”. Feedback on “NASA launches spacecraft designed to find planets that might support life”.